Zingerman’s Deli is a staple of Ann Arbor, Michigan. Its fans include President Obama and celebrity chef Mario Batali. The deli, founded in 1982, is just one of nine businesses in the Zingerman’s Community of Businesses, which also includes a bakery, creamery, candy company, and restaurant. These businesses are founded on a unique philosophy. They lack a traditional business hierarchy and emphasize collective decision-making. The unorthodox strategy has worked well for them, and the company is on track to make $50 million this fiscal year. 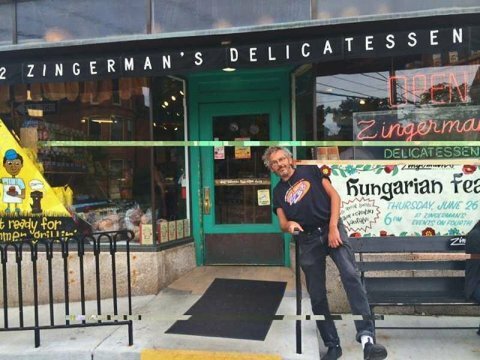 In the next few years, Zingerman’s plans to adopt an even more radical business model, becoming a worker cooperative, where its 600-plus employees will own the company and influence its direction. To read the article in its entitreity, we encourage you to visit BusinessInsider.com.